Searching for the perfect wedding photographer can be TOUGH! With so many choices in photography style and package pricing, it can be overwhelming to weed out the bad and choose your favorite from the best. Your choice of photographer sets the stage for all of the wonderful memories on your wedding day and the photos are the only thing you look back on 50 years from now. So before you make a decision, read up on these Top 10 Things To Know When Picking A Wedding Photographer – and ensure yourself the best possible fit! Step 1: Search locally based photographers in your area. This ensures you will be able to meet with the photographer in person, check out their galleries, and get to know their personality! Step 2: Read their reviews!! It’s probably your first time searching for a wedding photographer so who better to get the truth about a photographer than past clients! If they had a bad experience, clients are guaranteed to leave a bad review. And the same goes for clients who found their perfect match! Search Google, Wedding Wire, Wedding.com, and the Knot and make sure they have plenty of great reviews. Every photographer has a different style, and not all styles will match what you are looking for. 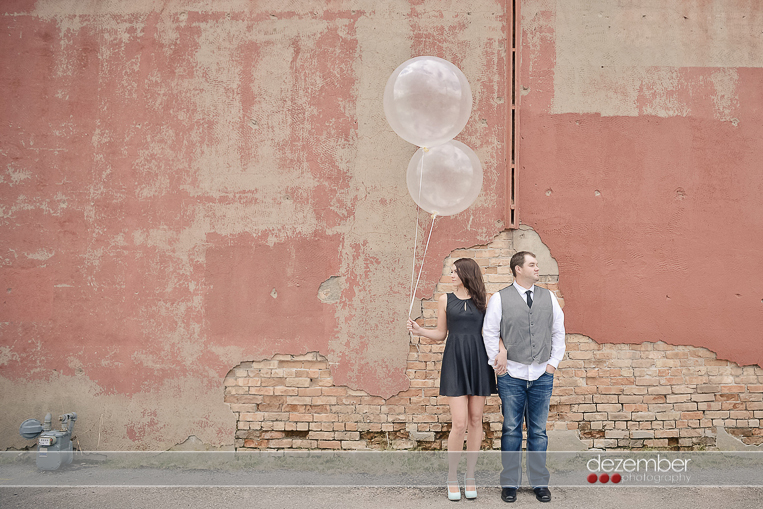 Some couples love the soft pastel look, others vibrant colors, and some more natural. While most photographers do some basic lighting and color adjustments to their photos, the sky’s the limit as to the filters they use in post processing. It doesn’t matter what style you choose, as long as you love it!! Many in-demand wedding photographers book weddings over a year out on the most popular wedding dates. As it gets closer to your wedding date it will be harder to book your first-choice photographer. Don’t delay! Look into wedding photography as soon as you have the date set, and make appointments to meet with your favorite photographers to discuss if they are the right fit for you! Find one?! Reserve your date right away! Although some studios may have more than one photographer on hand, you don’t want to lose your spot to another bride! If your first-choice photographer is already booked, don’t panic. Ask them for recommendations with a similar style to their own. 4. Why Does Photography Seem So Expensive? This is one of the most common topics we hear from the budget stretched bride – why is photography so expensive?! It seams like easy money right – work for one day taking pictures and collect the cash, right? WRONG! Wedding photography is about more than just the day-of. It takes typically three hours of editing for each hour of shooting to deliver your final wedding images. Not to mention the time spent during the initial consultation, emails, phone calls, and shooting and editing the engagement and bridal sessions as well. Plus, professional full-time photographers carry around on average $15,000 worth of camera bodies, lenses and flashes, and backup gear! Legitimate wedding photography is just like any other business, complete with taxes, insurance, editing software and studio expenses just to name a few. Some studios even employee office managers to ensure your experience is amazing! Just like variations in style, wedding photography comes in all price ranges. Yes, you do need to find a photographer that is realistically within your budget, BUT don’t skimp on your photography portion! Photography is the one thing from your wedding that you will be able to physically look back on years from now, and you don’t want to miss out on any of those memories! Find ways to cut costs in other areas – do your second-cousins-twice-removed really need to attend the fancy plated dinner?? TRUST US!! You don’t want to save a few hundred bucks on a cheap or inexperienced photographer. IT’S NOT WORTH IT!! This goes hand-in-hand with setting your wedding date. Schedule a time to meet with your first-choice photographer as soon as possible! Take time to get to know their photography style, personality, and available packages. ALWAYS ask to see a full wedding gallery!! Wedding photographers typically only showcase the best-of-the-best on their website, so insist on seeing a good chunk of photos from a single wedding, start to finish, to ensure that their quality is consistent throughout the engagements, bridals/groomals and of course the wedding day! 7. How Can I Make Sure I Look Good In My Photos? The key to looking your best is by staying relaxed! By now you have found a photographer and style you like, so trust them to capture that same look in your images as well! When you are enjoying yourselves and having fun on a shoot, it will show in photos! Take advantage of an engagement or bridal/groomal session to become familiar with your photographers shooting style and rid yourself of the camera shy tendencies. By the time the wedding rolls around, you will know what to expect, how to pose, and how your photographer works. Understanding the contents of your wedding package and coverage is essential!! Discuss with your photographer everything from coverage hours to final products. Do you have unlimited coverage on the wedding day or a restricted number of hours? Will you be needing one photographer or two? Are engagements and bridals/groomals included or additional? What about prints and albums? Be aware of any additional costs for prints or albums that may arise, and ensure your photographer understands the number of coverage hours necessary to avoid raised hourly rates on the day-of. Don’t forget to ask how many images are to be expected from your wedding day! This number can vary based on the coverage hours and type of wedding, but on average you should get 50-100 images per hour from your photographer. Don’t neglect to ask how these images will be delivered to you! Will your photographer give them on a flash drive, digital download or do you pay additional for the digital files? 9. What is “Shoot and Burn” Photography? “Shoot and burn” is slang for photographing a wedding and immediately burning it strait to disk without post-processing. Yes, it is usually super cheap – for a reason! Without post-processing, your images will remain with bad lighting, uncontrollable blinking and zits proudly on display! Those aren’t the photos you will want to share with family and friends, so why even get them? Most every couples wants a copy of their digital files, but be sure to find a photographer who provides basic editing on ALL of your images before delivery, including white balance, color correction and cropping. But what about that zit, you ask?? – See Tip 10 Below!! 10. You Can Photoshop That, Right?? It depends. A great wedding photographer will do their best to make the lighting, posing, locations, and camera settings perfect all in camera. They don’t rely on Photoshop to fix bad photos. However, with any prints, canvases or albums your order, they should definitely be doing a little more detail editing to diminish under eye circles and that oh-so-annoying zit that decides to crash the party! To read more clips of this helpful article referenced from the Offbeat Bride, click HERE!